Austin Air HealthMate Junior Air Purifiers - the compact Austin Air Purifiers with smaller size Austin Air Filters and less powerful Austin Air Motor/Fan for Effective Air Quality Solutions in Areas up to 750 sq ft.
Austin Air HealthMate Junior Air Purifiers There are 4 products. 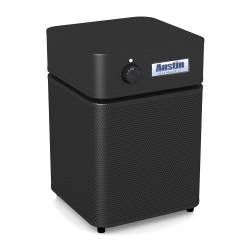 Austin Air HealthMate Junior HM200 Air Purifier - America's popular True HEPA and Carbon Austin Air air purifier for effective all purpose air purification in areas up to 700 sq. 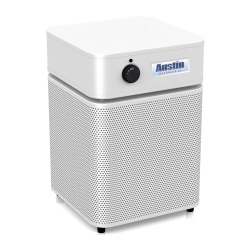 ft.
Austin Air Allergy Machine Junior HM205 Air Purifier - a compact Austin Air True HEPA air purifier for effective protection to allergy and asthma sufferers from exposure to airborne allergens and dust in areas up to 700 sq. ft.
Austin Air HM250 HealthMate Junior Plus Air Purifier takes over the Austin Air HealthMate Junior model to help remove VOCs, formaldehyde, ammonia and other specific chemicals in homes, offices and workplace areas up to 750 sq. 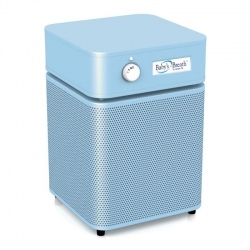 ft.
Austin Air Baby's Breath Air Purifier is a compact Austin Air air purifier. Austin Air Baby's Breath guarantees that babies breathe clean fresh air while sleeping.